OXFORD, Miss. – The University of Mississippi’s Gertrude C. Ford Center for the Performing Arts will feature the national touring production of “Jersey Boys” at 7:30 p.m. Friday (Nov. 9). 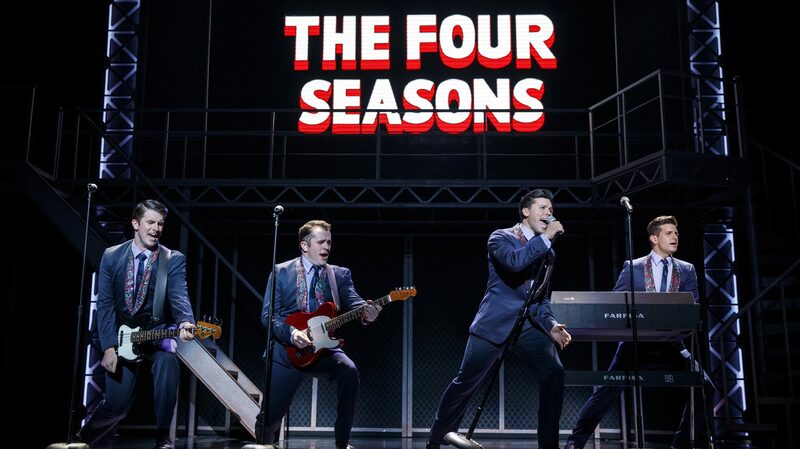 The musical chronicling the career and successes of the Four Seasons is the 12th-longest running show in Broadway’s history, having been consecutively performed for 12 years from 2005 to 2017. The national tour launched in 2006. The musical was written by Academy Award-winner Marshall Brickman and Rick Elice and features music by Bob Gaudi, an original member of the Four Seasons, with lyrics by Bob Crewe and choreography by Sergio Trujillo. Kate Meacham, Ford Center marketing director, said she is looking forward to music by Frankie Valli and the Four Seasons. Ford Center officials have been working to bring the show to Oxford for years. The show is not recommended for children under age 12 because of profanity, smoking, gunshots and strobe lights. Tickets are $75 for orchestra/parterre and Tier 1 Box-level seating, $69 for mezzanine and Tier 2 Box-level seating and $63 for balcony seating. A 10 percent discount is offered to Ole Miss faculty, staff and retirees at the UM Box office. Student tickets are $35 for balcony seats only. Tickets can be purchased at the UM Box Office at the Ford Center or online at http://fordcenter.org/. Discounted and student tickets are available only at the Box Office with a valid UM ID. For more information about the performance, visit http://fordcenter.org/event/jersey-boys-national-tour/.